Unlike Spanish, learning Portuguese is quite difficult for many English speakers. Numerous concerns have been raised regarding the ease with which many English speakers learn Portuguese and Spanish. Some individuals ask whether the grammatical mannerism for Portuguese is more complicated than that for Spanish. Given these numerous concerns, one element remains constant. This component illustrates the complexity of European Portuguese compared to Spanish. Many reasons answer questions like, how hard is it to learn European Portuguese. You primarily might want to learn European Portuguese as an additional language; however, you will face the following challenges, which will make it quite tricky. Individuals intending to study European Portuguese face challenges including the lack of enough resources. The materials for the language are limited unlike the resources for Brazilian Portuguese, which are widely available. It thus becomes difficult for you to study the language despite the interests you have. Materials entail not only books but also videos and movies acted in the literature. Instances indicate that many American English-based materials including watching American Television programs help foreigners learn English quickly. Continuous engagement with these materials presents to them an opportunity to develop their pronunciation and an American accent. Such an example illustrates the significance of resources necessary for the learning of a new language. For European Portuguese, it becomes difficult to learn the simple words and pronunciation in the language. Other meaningful materials for the learning of European Portuguese would be providing courses to the learners. Currently, there exists a “Teach Yourself Brazilian Portuguese” course for this dialect. However, the European Portuguese has no available course making it hard to be learned. 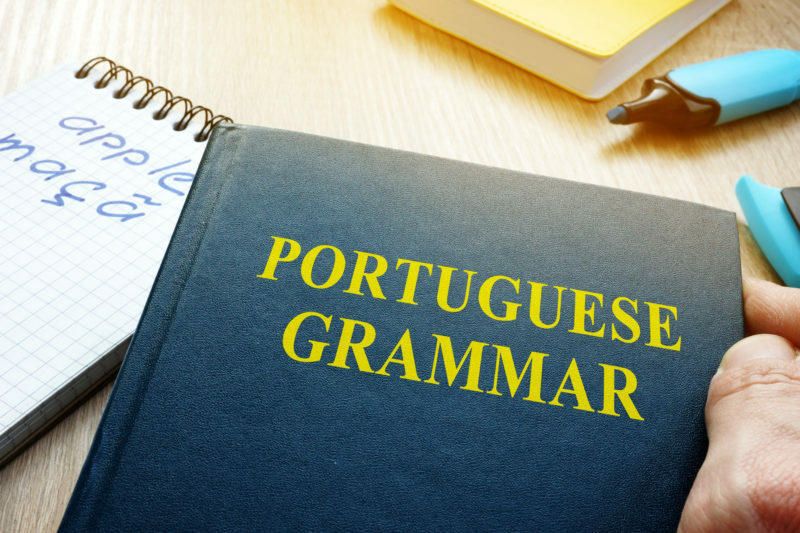 The answers to how hard is it to learn European Portuguese can be found in the grammatical composition of the language. Spanish speaking learners admit that Portuguese is slightly harder than Portuguese based on its grammar. Elements that make Portuguese complicated include the use of the clitic pronouns, subjunctives, and personal infinitives. Besides, European Portuguese varies entirely from Brazilian Portuguese presenting frustration to the learners. The differences originate from peculiar elements including the writing and verb construction. In the latter, European Portuguese becomes more complicated especially when the verb construction creates no sense. As such, insufficient resources for European Portuguese learners affect them adversely. They lack the reference materials for clarification offering challenging situations for them unlike for the French, Spanish and English students. The Brazilian culture is widespread and vibrant, unlike the European Portuguese. As such, the European Portuguese is less prevalent among nations in the world. This element affects the learning of the language given the stress associated with understanding its complex structure. Numerous structures in European Portuguese are hard for an English speaker to comprehend unless they are being taken through by a Portuguese instructor. You can also relocate to Portugal to understand certain basics of this language, which are less likely to be found in other nations. A motive guided by passion and interest will sustain your urge to learn European Portuguese. The love for the dialect will take you through the hardships until you finally grasp it fluently. Learning European Portuguese is a privilege as it grants to you access to understand the excellent history and culture of Portugal. It also alters your perception of the world given the qualities you attain as you learn the language. Some of the attributes you are likely to acquire in the course of studying European Portuguese as a harsh language include intelligence and perseverance. Individuals learn European Portuguese for numerous reasons depending on their goals. Some people learn the language for communication whereas others are driven by the urge to sound natural. The desire to understand both variants gives a majority of people the zeal to study the language despite the difficulties. Learning both options will help you communicate effectively and enjoy speaking a foreign dialect in your preferred style. Brazilian Portuguese and European Portuguese are phonetically different. These make it hard for learners to comprehend European Portuguese effectively just like Brazilian Portuguese. This factor is different for the two dialects and affects particularly illiterate people. In many cases, Brazilian speakers like the caipira find it challenging to communicate with European Portuguese speakers. The phonetics between their speeches are different impeding communication. European Portuguese vocabulary differs from Brazilian Portuguese in many ways. The differences originate from the lexical borrowings from various non-European languages. This element makes it difficult for communication to take place; however, it is confined to specific categories. The categories affected include plant names, food items, and animal species. It is within these classifications that European Portuguese learners face trouble in their attempt to comprehend the beautiful language. 4. What makes European Portuguese harder than Spanish? Not only is verb conjugating a complex activity but also the verbs themselves. European Portuguese verbs contain elements, which are complicated to comprehend compared to verbal Spanish. Some of the fierce aspects of the verbs include personal infinitives and irregular past participles. As such, European Portuguese becomes complex unlike spoken Spanish, which learners perceive to be less complicated. It is clear that the Spanish and Portuguese phonetics is entirely different. Phonetically, European Portuguese is more difficult than Spanish. These elements present the answers to how hard it is to learn European Portuguese in details. It also shows the reasons people choose the language despite the difficulties.